Lei Guo focuses her practice on preparing and prosecuting international and US patent applications in chemistry related fields. Prior to joining Abel IP, Lei was a patent agent at Faegre Baker Daniels and primarily focused on patent prosecution in the fields of biotechnology and pharmaceuticals. Prior to her patent prosecution career, Lei worked as a research associate at the Department of Medicine of National Jewish Health in Denver. Her research focused on T cell function in maintaining chronic asthmatic inflammation. Her graduate research focused on targeted cancer gene therapy. She is experienced with various techniques, including cloning, expression of recombinant protein, protein purification, virus generation, transduction, and transfection of mammalian cells. 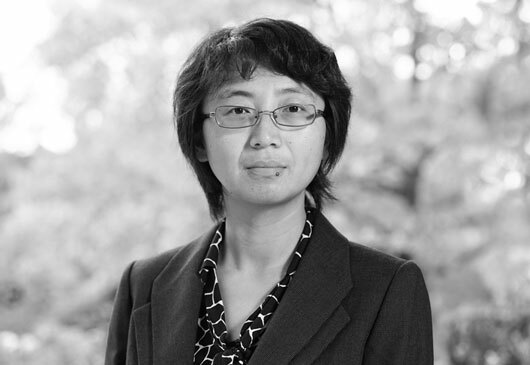 Lei is an author of a number of peer reviewed journal articles and an inventor of two patents based on her research. Preparing and prosecuting patent applications, particularly in the fields of chemicals, pharmaceutical compounds and biotechnology. 1. Guo L, Chen C, Liang Q, Karim Z, Gorska M and Alam R. Nuclear Translocation of MEK1 Triggers a Complex T cell Response through the Co-repressor Silencing Mediator of Retinoid and Thyroid Hormone Receptor (SMRT). J. Immunol. 2013 Jan 1; 190(1):159-67. 2. Goplen N, Karim Z, Guo L, Zhuang Y, Huang H, Gorska MM, Gelfand E, Pagés G, Pouysségur J, Alam R. ERK1 is important for Th2 differentiation and development of experimental asthma. FASEB J. 2012 May; 26(5):1934-45. 3. Guo L, Liang Q, Gogate S, Karim Z, Hanifi A, Leung DY, Gorska MM, Alam R. IL-2 and IL-4 Stimulate MEK1 Expression and Contribute to T Cell Resistance against Suppression by TGF-beta and IL-10 in Asthma. J. Immunol. 2010, 185(10): 5704-13(co-first author).